I just saw The Departed - a few months late and a few dollars short, (thanks to Netflix), but it was on purpose. I wanted to watch Infernal Affairs first, and I’m glad I did. It’s unfortunate that Martin Scorsese has resorted to making big budget blockbusters in the last few years, because it has diluted his body of work. This is not to say that there’s anything wrong with big budget blockbusters; it’s just that Scorsese’s efforts in the last few years are pretty flat compared with his earlier stuff. While it was tightly shot, with decent cinematography, The Departed seemed shallow and unreal overall. 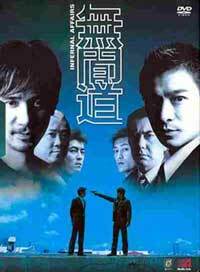 More importantly, it did not fare well against its elder twin, Infernal Affairs, for three main reasons. First of all, the plot for the latter was completely original – something that very few moviegoers had ever had the chance to see. Secondly, the actors brought out an incredible level of depth and complexity in their characters, which was not seen with The Departed. And third, and most importantly, the concept of loyalty – on which the entire plot hinges – seemed so much more culturally believable in Hong Kong than it was in Boston. As a bonus, audiences for Infernal Affairs had no soft landing in the end - the finale was more powerful, more realistic and consequently, more cynical. When comparing the two, Infernal Affairs comes out head and shoulders above The Departed, all of its Oscars notwithstanding. While Infernal Affairs has had the privilege of being remade by Martin Scorsese, not all films coming out of East and Southeast Asia share this honor. Over the last ten years or so, especially since the economies there have started to pick up, the film industries have been booming. As a result, there have been some real gems that have been created on that side of the Pacific. For instance, there have been some tremendous films coming out of South Korea in the last decade or so. I mention South Korea, because the films from that country have a unique ability to blend art house with commercial success. Too many other films deserve the exposure that Infernal Affairs received, and quite frankly, almost all of them are not going to get it. Most likely, several of you reading this will miss out on some examples of excellent cinema only because you never get the chance to hear of a particular film. That is, unless you caught the Asian American Film Festival that was showing in San Francisco, Berkeley and San Jose, from March 15th through the 25th. Some of the finest films shot either in Asia or by Asians in the last decade are going to be previewed, including some which have never received any prior western exposure, either in the form of widespread DVD availability or in the form of theatrical release. One of the striking features of the festival was a Hong Sang-soo retrospective. Sang-soo is a South Korean director who does not receive nearly enough exposure as he deserves. He received some critical recognition with his debut directorial feature The Day A Pig Fell Into The Well, released in 1996. His latest feature, Woman on the Beach, was released last year. The festival screened all of his films. A recurrent theme in all of Hong’s films is that his characters suffer from alienation and stunted emotional growth. They all relate to others in a unique and particular way, which clearly shows how they can be members of society but yet remain completely detached from it. These people are sociopaths on some level, creating a world for themselves which is completely isolated from the real world. What is most interesting is to see how they react to each other, and to their own handicap especially since they themselves are unaware of it. What is most disturbing is that if their detachment were not so extreme and their emotional void not quite so empty, they might just be people like you or me. If you believe in accidents, then it is a small twist of fate that has made these characters the way they are and it is just as likely they could have gone another way, in which case, ended up quite normal. This fragility is what makes Hong’s movies so enticingly repulsive. If you are interested in the complexities of human nature, Hong’s films are for you. We need not delve into the seamy underbelly of the unconscious to appreciate a good film, however.  The festival also showcased some of the best action thrillers. Of note was the Filipino action film Blackout about an alcoholic, single father who wakes up to see his rear bumper bloodied after one of his blackouts. Directed by whiz kid Ato Bautista, the movie blurred the line between reality and unreality as we unraveled the mystery. 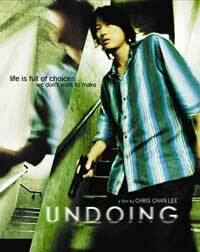 Also showing was Chris Chan Lee’s Undoing, a neo-noir film based in (where else?) LA, about crooked cops, blackmail and a fugitive who returns home for some revenge. It stars Sung Kang of The Fast and Furious: Tokyo Drift fame, in a strikingly different role. And finally, the Canadian drama Dragon Boys told the story of a Chinese Canadian cop who wants to take on the Vancouver triad. Directed by Jerry Ciccoritti, it showcases talent from the US, Canada and Hong Kong, and has been compared with The Sopranos and The Wire. For the more romantic types, there was David Kaplan’s The Year of the Fish, a rotoscoped fantasy film about a young Chinese immigrant, showcasing New York City like you’ve never seen it before. There was also the racy and sexually charged Summer Palace which had director Lou Ye tell the story of two Beijing University students over the period of ten years. Noteworthy documentaries like Duc Nguyen’s Bolinao 52 told the story of a boat of ill-fated Vietnamese refugees who leave the country in the hopes of escaping persecution in 1980 Vietnam. There were even shorts from South Asia like the striking chapters from Sita Sings the Blues which takes stories from the Indian epic, The Ramayana, and retold them in short, animation form. It’s impossible to highlight every good movie that showed at the festival. This is just a handful of noticeable films and for each one mentioned here, there were about three or four films which were just as good. If you’re in the Bay Area, I hope you caught at least some of them. If not, no worries, you can let your mouse do the watching.